This article reresents a summary of what the OKR Framework is as well as gives an understanding of the concept of OKR. Please share it with your folks. Objectives and Key Results (OKR) is a popular framework in goal setting and management that helps organisations implement a solid strategy. The goal of OKRs is for every member of the organisation – from the key stakeholders and leaders down to the team members – understand the objectives of the company through a set of defined, specific and measurable actions. The OKR approach has been used by many tech and multibillion companies like Google in Silicon Valley today. With today’s complex nature of organisations, team members often find themselves feeling lost amidst the rapid changes that they deal with every day. Often, the strategic plans and goals of the company are too high-level and abstract that employees don’t just feel lost, but also feel discouraged and find lack of purpose. It is worth knowing that the concept of OKR is not new. 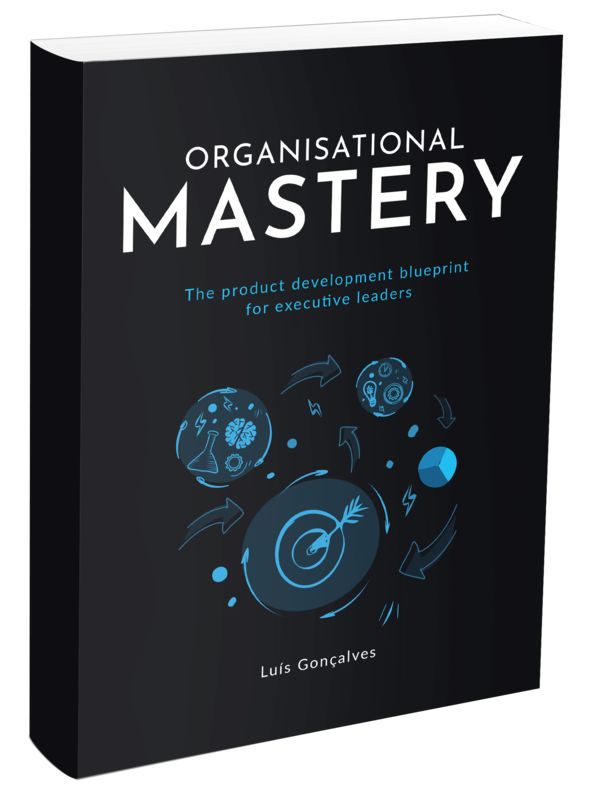 The long history started in 1954 when Peter Drucker invented Management by Objectives or MBO. Later it was recognised in as early as the 1970s. Thanks to the former President of Intel, Andy Grove, who introduced the idea. Now, OKRs are used by thousands of organisations around the world, including the largest Fortune 500 companies like Zynga, Sears, Twitter, Oracle, and so much more. A typical OKR is made up of 3 to 5 high-level objectives, under which are 3-5 key measurable results are listed. The said key results are measurable through a defined set of indicators or scores (usually between 0 and 1.0. The use of quantitative indicators allows an organisation to check or measure progress. Leadership experts believe that OKR is one of the leading team management practices that every company should implement. Why? Because it’s easy and simple, does not take up so much resources, and helps preserve the company culture, and greatly benefits the organisation, particularly employee productivity and performance. Studies have shown that employees who used OKR tend to be more effective at their jobs, which results to better performance and increased sales, than those who don’t. Furthermore, team members who didn’t use OKRs proactively asked to be part of the OKR process in future cycles. One of the major benefits of using OKRs is that it allows an organisation to greatly focus on metrics and KPIs. This makes a cultural shift from output to outcomes. OKRs also create focus, alignment and transparency within the organisation. When combined, these factors lead to a significant improvement in employee engagement. 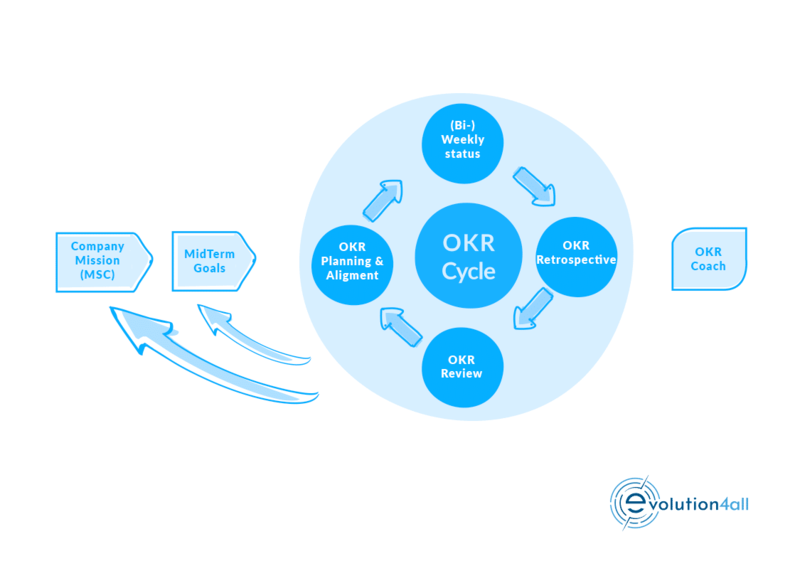 Each component of the OKR framework supports the smooth and successful implementation, and thus has an important meaning in the overall process. As pluswerk consulting suggests, it is best to use the synergy effects of all components on the picture below. COMPANY MISSION – The company mission is a brief description of the company’s vision and purpose, and how they should be implemented. MID-TERM-GOALS – Mid-term goals (so-called MOALS) are the link between the company mission and the OKR. They are usually defined for one year. OKR PLANNING – At OKR Planning the respective objectives and key results become defined for the entire cycle and at all levels. This is done both top-down and bottom-up. of the teams during the cycle. The weekly should only take about 15 minutes and should give an overview of the current status of the OKR. 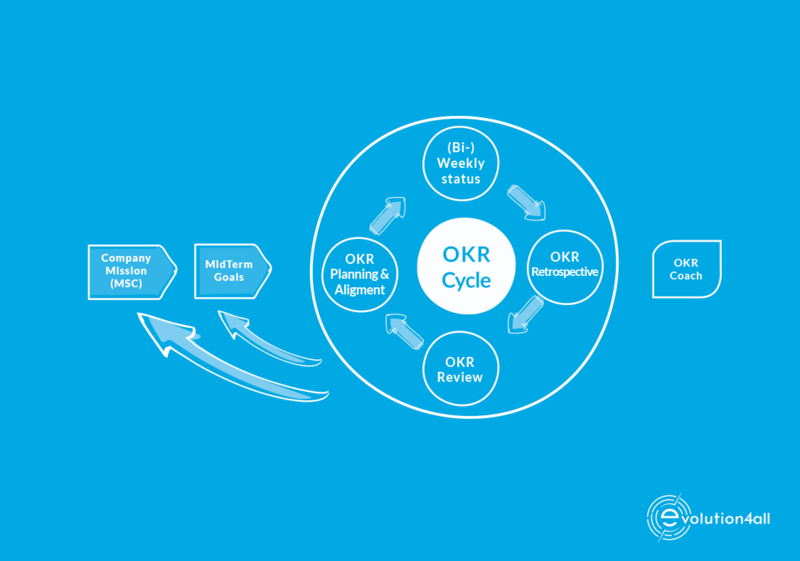 OKR REVIEW – Review meetings are used to determine the degree of achievement at the end of an evaluation cycle. The scoring should be consistent with team standards. OKR RETROSPECTIVE – During a retrospective, the teams analyse the OKR process from a systematic point of view. What did the team learn? What should be improved in the next cycle? OKR COACH – As experts, coaches, facilitators, change agents are OKR Coaches responsible for the smooth implementation of the OKR framework in the company and support their teams in the Definition of OKRs and other regular events. During the cycle, objectives and key results are usually not changed unless the company faces an unexpected and extremely important event to which it must respond. However, this is rare; usually review and retrospective show the potential for improvement for the next cycle. The sustainable implementation of the OKR framework within a company takes time. It usually takes about 3-4 cycles to get the full pull from OKR. A meaningful, well-designed implementation plan can significantly reduce the learning process. Measures such as in-house trainings, the training of OKR Choaches, orientation workshops and moderated planning by experts , review and retrospectives raise the learning quality and speed. It´s important to note: always stay humble and open for making mistakes and learning new things!